Bruce’s daughter Lynne has been attending one of Sunnyfield’s Community Services Hubs for several years. 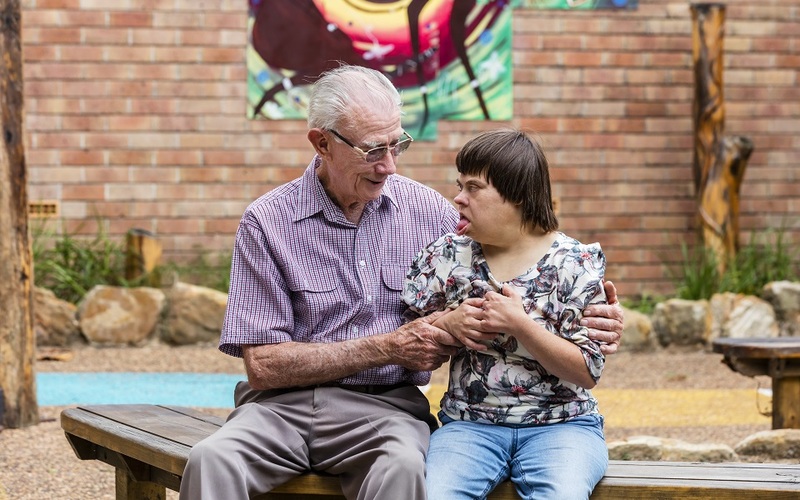 He has always been impressed with the quality of services Sunnyfield has provided and the dedication of staff to improving the lives of people with disability. With no other family members, Bruce was concerned about the future welfare of his daughter. He decided to make a gift to Sunnyfield to enable the construction of a purpose built home, where his daughter can be comfortably accommodated and where other ladies with similar needs can also live. Sunnyfield will provide round the clock staffing to support this Shared Living home arrangement. If you are interested in finding out more about bequests, start the conversation today and contact our Fundraising team on 1300 588 688 or click the button below for more information.